My Top Favorite Cute and Girly Luggage Sets! My Favorite Cutest Luggage Sets for Women! Cute luggage is usually very girly and extremely colorful and unique! 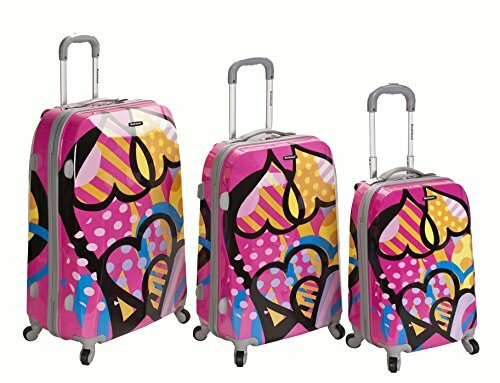 In my opinion the cutest luggage sets are the ones who have cute and fun prints, like butterflies, hearts, cool drawings or flowers. 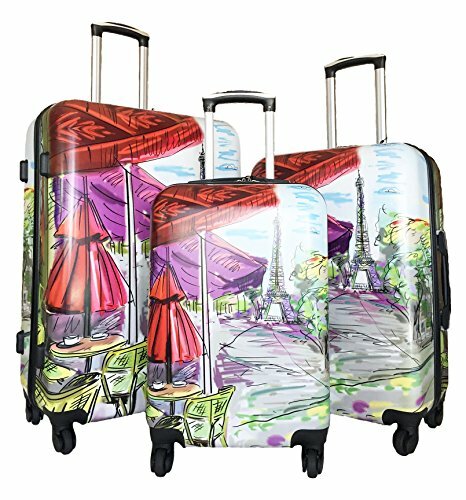 *This trendy Paris painting luggage set is absolutely cool! **To get any of these for you just click on their pictures! The idea of creating a page dedicated to these girly luggage sets happened a few years ago when I got tired of seeing everyone carrying the same kind of suitcases…. always black or gray! Why? Then I would see them struggling so hard to find their own suitcases at the baggage carousel, many times seeing people grabbing the wrong suitcase just because they all looked exactly the same! 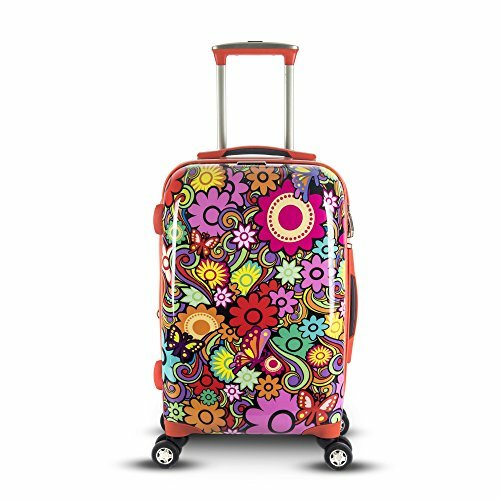 This is a cute and very lightweight luggage set for women! I love the pink color and the cute hearts! This girly luggage set will make a wonderful birthday gift to any girl in your family! Groovy Purple Luggage Set for Teen Girls! Colors have the ability to immediately lift our mood! Do you like purple luggage? 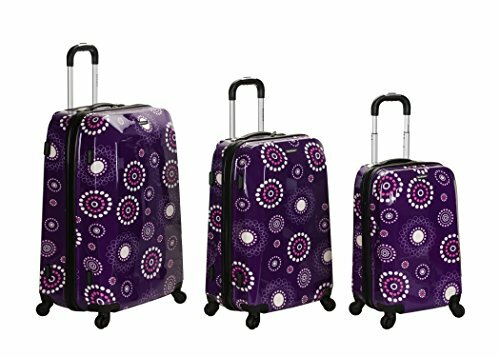 This is such a cute groovy purple luggage set! It is also very well-built and very eye-catching! Fun, cool, unique and absolutely awesome! I just found a cute and colorful OWLS luggage set for sale! Girly women love owl stuff! We also love cute luggage! 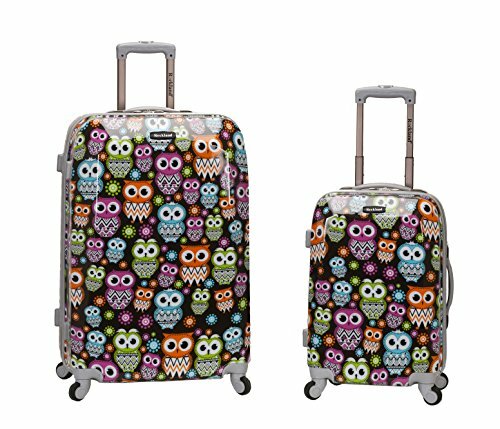 Combine the two and you have this gorgeous and extremely unique, colorful and cute owl print luggage set!! 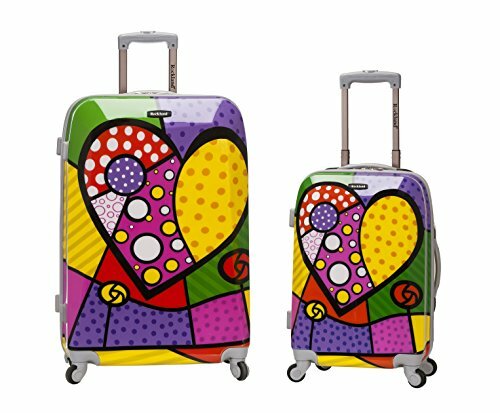 It is one of the most bright-colored luggage sets around and will also make everyone at the airport turn their heads and look at you! 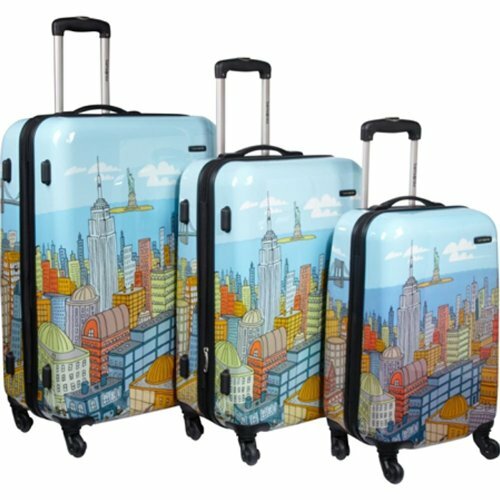 This is a lovely and very cute not to mention very unique famous cities luggage set for girly women! It has cool prints of one of the most famous city in the world…New York! Besides looking ultra-fun, they are also ultra-smooth and very spacious inside! 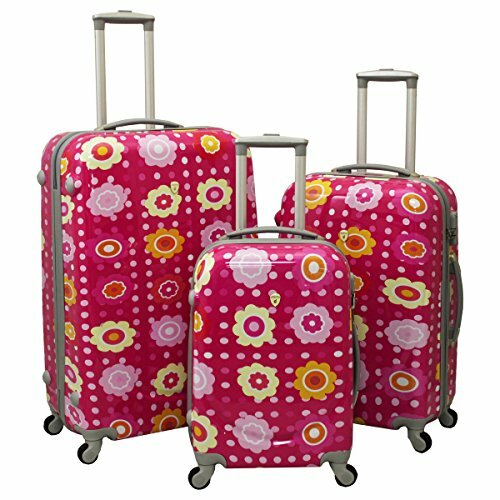 What a gorgeous and very girly floral design luggage set for sale! You will get three adorable polycarbonate flower suitcases! Perfect for best friends or sisters traveling together! You are in cute luggage heaven right now, aren’t you? This has got to be one of the most fun luggage sets ever created! I don’t think it can get any more cool festive than that! 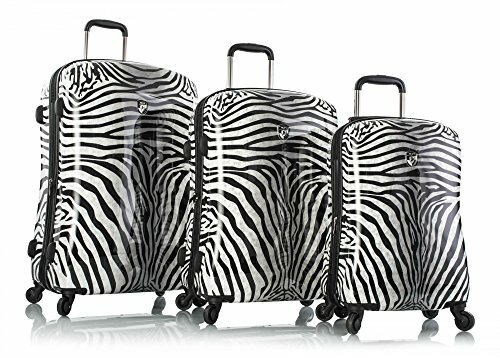 It’s an awesome zebra print luggage set! Very Girly PINK Flower Suitcases! I can’t get enough of these girly luggage sets! 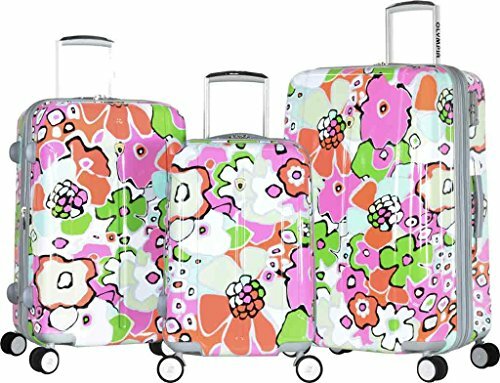 It is a cute and girly PINK flowers luggage set and they are definitely always easy to find at the baggage wheel! I bet everyone will be asking you where you got these! 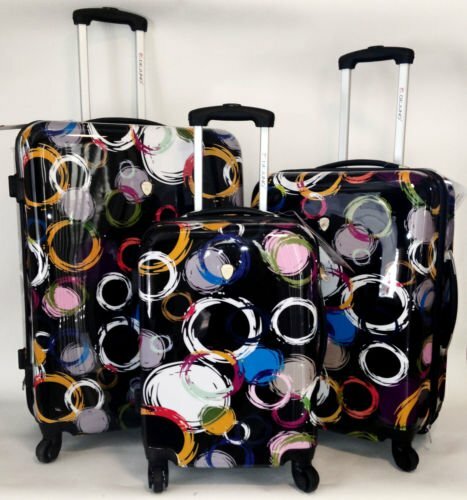 Fun and cool colorful circle prints on this gorgeous and very unique cute luggage set! Can you make the prints? 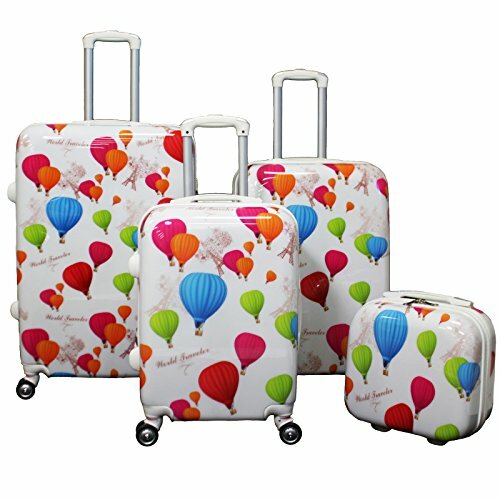 Fun and Colorful Hot Air Balloons Print Luggage Set! I’m having so much fun here finding these cute and colorful luggage sets that I don’t want to stop! I love all the options out there! I love this cute and ultra-colorful hot air balloons design! The Cutest Floral Suitcase Ever! This is the most beautiful flower suitcase I have ever seen! Do you absolutely love Times Square with all your heart? Do you also love to travel with stylish suitcases? 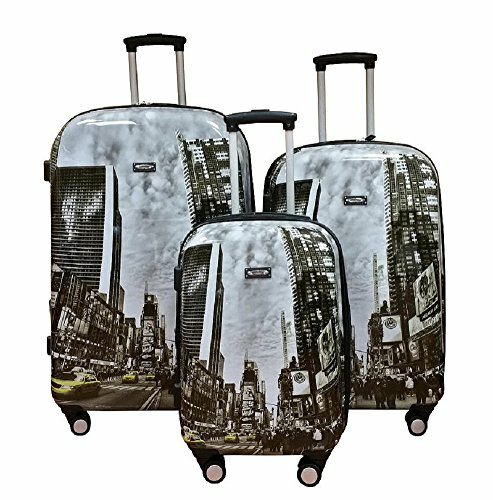 Then this is the perfect cool and stylish luggage set for you! It has cool drawings of Times Square all over them!